Verdict: A thrilling cross-continental Dan Brown-style action adventure that blends sci-fi and ancient conspiracies seamlessly into an intriguing plot, but that needs a little work in terms of writing craft and character development. When Logan and Emma are grouped together for a history project in which they have to investigate one of the world’s great unsolved mysteries, they inadvertently set out on an adventure that spans both time and place. As they unravel the clues to an ancient conspiracy, they are pursued across continents by government agencies and ruthless mercenaries alike, with no idea who to trust or where to turn to for help. Together, they race against time towards the truth that may be mankind’s salvation and the answer to whether there is intelligent life out there in the universe. THE COORDINATE by Marc Jacobs is an action-packed whirlwind adventure that takes us from the US to Europe on the heels of two clever teens deciphering clues that have baffled scientists and archaeologists alike for years. After reading the blurb, I couldn’t wait to dive into this novel: Ancient conspiracies! Mayan prophecies! European adventures! Two plucky teenagers outwitting everyone! And the novel does deliver on all these promises in terms of plot, however the execution unfortunately didn’t quite live up to expectations. I suspect this might be the author’s first novel and while the plot is certainly intriguing, the writing leaves a lot to be desired, especially when it comes to the old adage of showing instead of telling. There are many info-dump paragraphs that read like thinly-veiled Wikipedia entries. One of my biggest gripes is the author’s tendency to write that a character “nods their head, yes” or “shakes their head, no”. Trust me, when a character nods, I know that it means yes, it doesn’t need to be spelled out. And while I admire the author’s research and realize that there’s only so much one can learn from Google, as someone who has been to the Vatican I can vouch for the fact that no matter how early you get there, you can’t just walk in without queuing, even if you have a pre-booked ticket, which our heroes did not. There also weren’t any security guards the last time I visited Stonehenge, but I can assure you that if there were, they wouldn’t be carrying guns or shoot trespassers in the back. And I just had to stretch my imagination a little too far to believe that the teenagers solved the mystery so easily while the highly educated adults remained clueless for the better part of a decade. All these gripes aside, the story has a lot of potential and with a little rework would make for a fantastic adventure thriller in the style of a Dan Brown novel, with the added bonus of a sci-fi element. The ending leads me to believe that there might be many more exciting discoveries lying ahead for Logan and Emma and I wouldn’t mind finding out what the future holds for them. 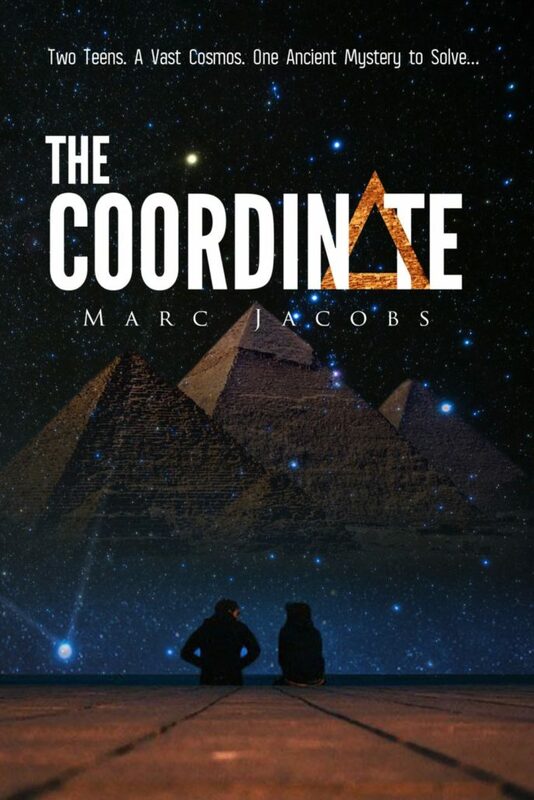 THE COORDINATE is a thrilling cross-continental Dan Brown-style action adventure that blends sci-fi and ancient conspiracies seamlessly into an intriguing plot, but that needs a little work in terms of writing craft and character development.